Command is comprised of three attributes. These are Leadership, Management and Authority. In the military authority is a non-consideration in command, because command appointments come with the authority of the National Defence Act and Canadian Forces Organizational Orders (if memory serves). The authority in that context is very explicit. Very often, however that authority is merely implied, as in small groups that go through the Forming, Storming, Norming and Performing stages as the influence of a “leader” emerges. I like a definition of Leadership that I think is attributable to Henry Kissinger, that “Leadership is the act of making people do what they would not have otherwise done by themselves”. I emphasize “that they would not have otherwise done themselves.” I remember many, many years ago a leadership talk by Major General Lewis Mackenzie where his definition was very similar to that of Mr Kissinger’s but he added “and liking it”. I struggled over that one for some time, but I don’t think that applies. I believe that there are many iconic leaders in history that were hated but their troops but something compelled them to follow. I will examine that more later. Leadership began as a preoccupation for me after I joined the military and aspired to command a platoon. During my life in the military the talk about leadership was unceasing. It started in basic officer training and was part of the fabric of daily life, consciously in dialogue and deed, and subconsciously for almost everything I did. Of course in the Army the definition of leadership was the opinion of the senior officer present, and many of those opinions — IMHO — were flawed. Myths like “to be a good leader you have to be a good follower” and “‘Man Management’ is a misnomer for ‘leadership’” were thrown around with carefree abandon. It seemed we blindly accepted them as truisms, at least did not see them challenged. I swallowed them in the short term, but was troubled by them. I ended up defining in my own mind exactly what it a combat leader was all about and what behaviour I would have to abandon, modify or adopt in order to be successful in command. Commonly, management, is defined as planning, organizing, delegating and supervising, or something similar. Management and Leadership are very much Yin and Yang, distinct but inseparable. The former is a science, the latter is an art. If it can be measured it can be managed, but it is far more difficult to quantify the leadership component in any other way than the outcome. 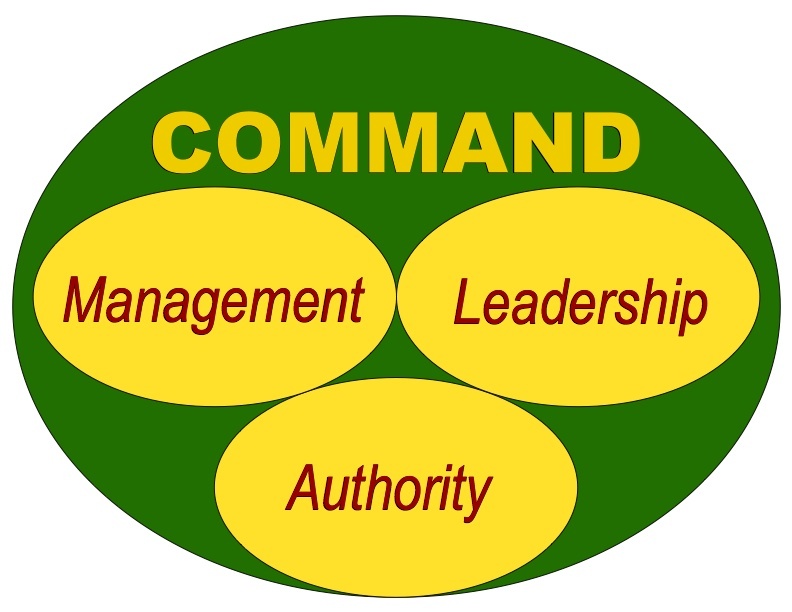 In my opinion, in the world of organizational stewardship today there is a huge bias towards management-biased command. I say “bias” because effective management is an command imperative, but while a management biased command style will get you to the top of an organization, it is unlikely that an organization commanded by a manager will win many compelling battles.